These 5 things Craft Beer Market does to keep their locations environmentally friendly. Craft Beer Market has two of the largest LEAF-certified restaurants in Canada. CRAFT Beer Market’s Vancouver and Calgary locations are the largest LEAF-certified restaurants in all of Canada. LEAF (Leaders in Environmentally Accountable Foodservice), is an independent body that measures restaurant sustainability. CRAFT Beer Market runs a significant waste management program and recycling program. Craft Beer Market’s waste management program diverts thousands of kilograms of garbage from the landfill each year. The program also provides compost to local farms. 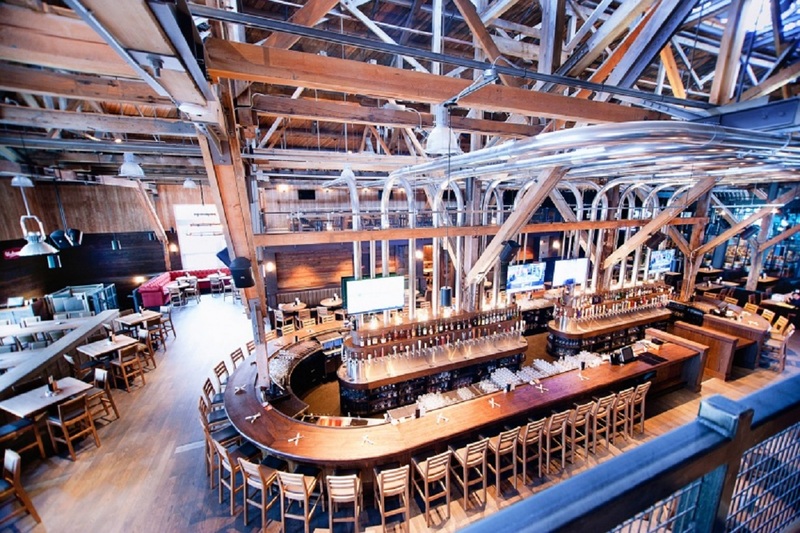 All of CRAFT Beer Market’s locations are LEED-certified. CRAFT’s Edmonton location was the first LEED-certified restaurant in the city. LEED is a certification is for buildings and homes that are built with environmental impact in mind. CRAFT Beer Market’s employee uniforms are environmentally conscious. When it comes to front of house uniforms, servers and bartenders wear Levi’s Water<Less jeans. These jeans are made using 96 per cent less water than standard jeans. Employees of Craft Beer Market also wear Toms shoes, a company that provides one pair of shoes to a person in need for every pair sold. All of the company’s beer operating systems such as coolers, taps, keg room are Bullfrog powered. Bullfrog powered generators put 100 per cent green electricity into the grid to match the energy used by our beer systems, this reduces their CO2 emissions by 109 tons per year. Did you enjoy this article on CRAFT Beer Market’s Sustainability facts? Check out more of our beer articles below! Dan Crocker, A.K.A. booze reviews, recently discovered the Brewsters located in Calgary’s south east’s Lake Bonavista Promenade. Continue reading to find out Dan’s exact thoughts Brewsters Brewing Company. This is your resource for Saskatchewan breweries, listed by location! If you’re heading out for a beer in Saskatchewan, Canada these are the craft beer breweries you should check out. From the Pacific Beer Chat Podcast: In this video-pod, the PBCP guys are discussing the beer event you need to go to, breweries to check out and a review of beers from across Canada. Dan Crocker is always on the hunt for new beers to try and review. Recently, Dan took a trip to beautiful British Columbia. Check out this video to see what he brought back with him. It’s unsure whether the Hash House Harriers are “a running group with a drinking problem” or “a drinking group with a running problem”. This is the beer movement you don’t want to miss! Drink beer, Run & Have Fun!